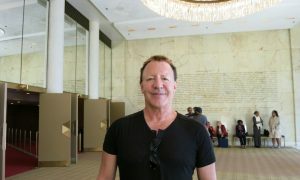 HOUSTON—International figure skating choreographer and coach Shayn Presley Vallon found inspiration in the classical Chinese dance, costumes, and choreography in Shen Yun Performing Arts at the Jones Hall for the Performing Arts in Houston, Dec. 29. “I’m always looking for inspiration. I definitely can see how some of this will transfer on to the ice,” Ms. Vallon said. 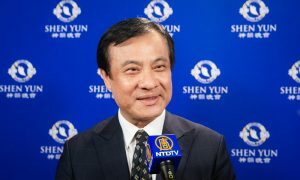 New York-based Shen Yun revives 5,000 years of a divinely inspired culture through music and dance. Ms. Vallon, who has spent over 35 years on the ice and performed and competed around the world, now coaches figure skaters and choreographs routines. According to its website, every Shen Yun costume is a spectacle. The artists work to create meticulously detailed costumes stressing harmonic balance and contrast, showing the audience a sense of the divinely inspired traditional Chinese attire. 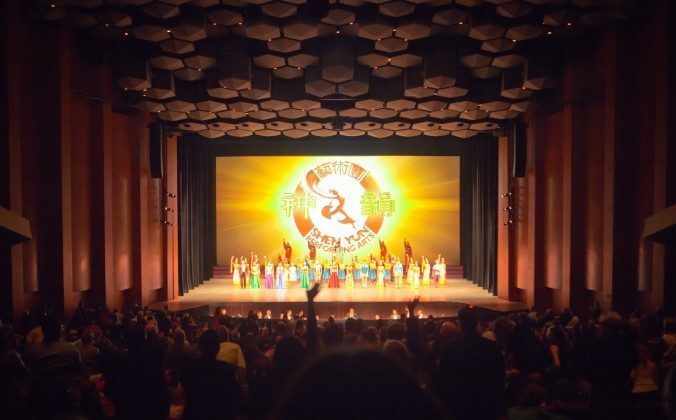 From the ethnic clothing of the Mongolians to the headdresses and “flower pot” shoes of the Manchurian princesses, Shen Yun creates hundreds of new pieces every season. Ms. Vallon has also had dancing and acting experience through her competitive skating years, and enjoyed watching the performers. 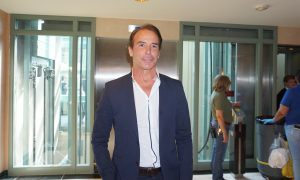 “I thought many of the dancers were very peaceful, very relaxing to watch. The fluid movement and the beauty of the flowing costumes and I thought it was very peaceful,” Ms. Vallon said. Ms. Vallon attended the performance with Mr. James Edger, Harris County IT manager. “It was fabulous, we loved it,” Mr. Edger said. 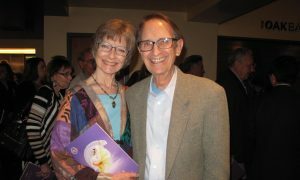 Mr. Edger said he hadn’t known what to expect at first, but Shen Yun soon proved to be an enlightening experience. 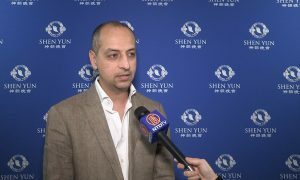 Shen Yun told the story of China’s culture, Mr. Edger said, in an interesting way through the beautiful costumes and dances. “Being in the States we don’t hear a whole lot about that. But it was interesting the way the story was told,” Mr. Edger said. “We enjoyed it thoroughly,” Mr. Edger said. 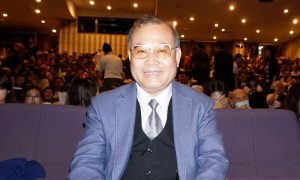 The revelation that China’s rich culture was once nearly lost was taken to heart by many members of the audience. 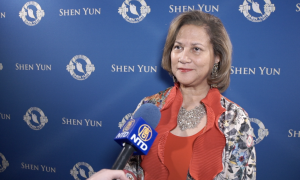 Ms. Judi Carolsson, who works in human resources and mobility, was inspired by Shen Yun’s mission as well. Ms. Carolsson said the performance was “mind-opening” and hoped to see it again.